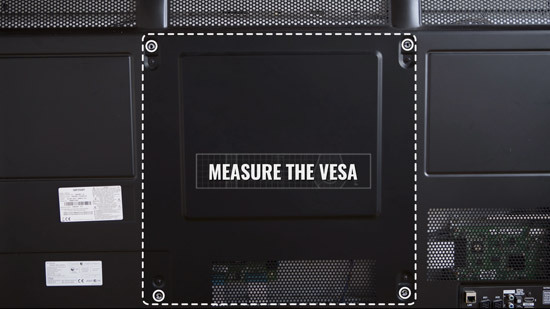 The VESA measurement is the distance between the four holes at the back of your TV (where the TV bracket will attach to) or your PC monitor. As it's been set as standard, most TV and monitor manufacturers comply with this to make it easier for people to get the correct bracket or mount they need, without any accidents occurring. If you’re measuring with a tape measure, all you need to do is note down the distance between the four holes at the back of your TV. TV Brackets will have a minimum and maximum VESA measurement. As long as your TV’s measurements fit within the min and max VESA, the TV bracket will almost definitely fit your TV. 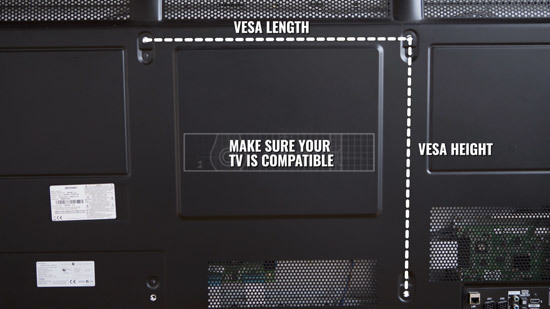 Found your VESA size for your TV? View our range of TV brackets here.